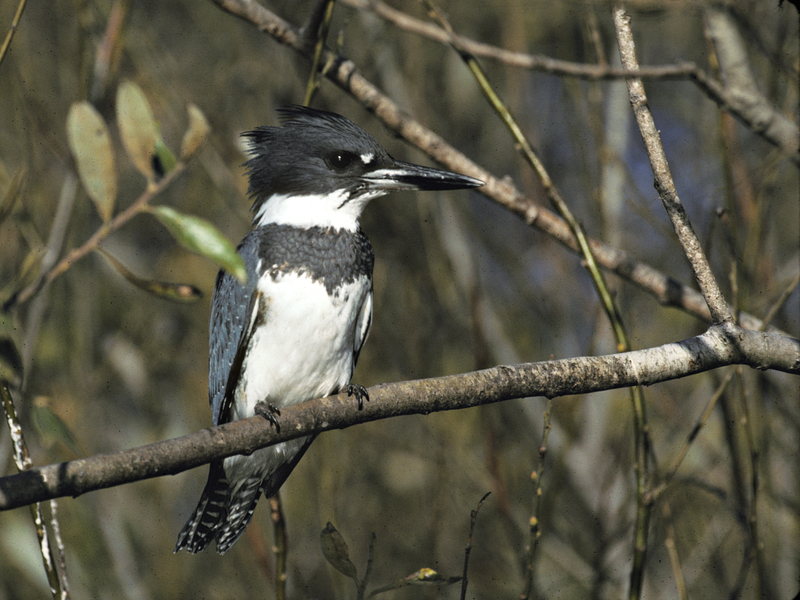 The Belted Kingfisher is seen widely in the U.S. Note the spiky head feathers that form a crest, and the huge bill. This is a male.